Germany's autobahns are famous for having no speed limits but proposals to introduce one appear to be slowly gaining ground. 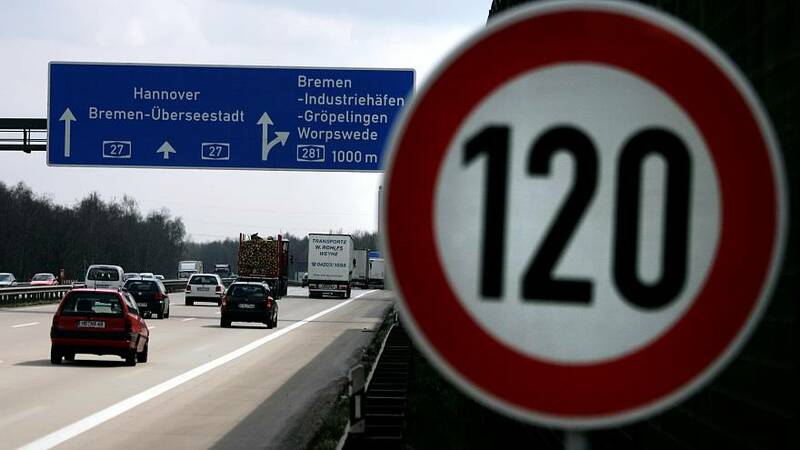 The deputy head of Germany's Police Officers' Union, Michael Mertens, voiced his support for a limit on Friday, calling it "crazy" that some people legally drive at 200-250 km/h. He said one in four road deaths could be prevented and tailbacks reduced if a 130km/h limit was imposed. Last week, a leaked draft document from the National Platform on the Future of Mobility, a government-appointed committee, proposed setting a speed limit of 130km/h, not on the grounds of safety but as a way to reduce pollution and limit climate change. But there's also been significant resistance: Transport Minister Andrews Scheuer quickly responded to the draft by telling German media that a speed limit went against "common sense." Chancellor Angela Merkel's spokesman, Steffen Seibert, sought to smooth the waves created by the leaked draft, saying last Monday that the committee is still examining a variety of proposals. Whilst sections of the autobahn do in fact have speed limits, about 70% are limit free, attracting speed junkies from around the world to test their cars' limits. Many Germans take pride in their fast roads — reflecting this, Germany's tabloid newspaper Bildt came out against the idea, describing the autobahns as "a symbol of freedom"
The government is torn between the need to protect Germany’s crucial car industry, which has been hit by a series of costly emissions cheating scandals in recent years, and the need to act to protect a rapidly deteriorating climate.